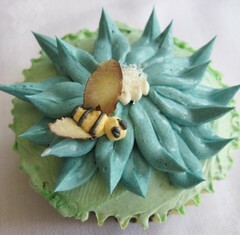 General guidelines for a Swiss Meringue Buttercream is 1:2:3, One part egg whites to two parts sugar to 3 parts butter. 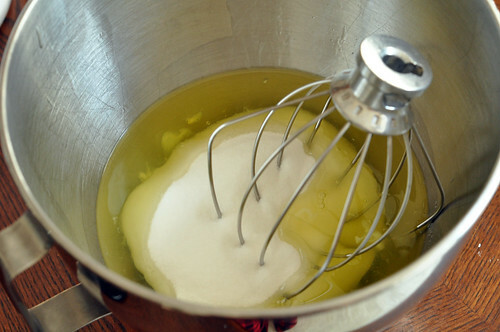 In a bowl of a standing mixer add the egg whites and sugar and mix well with a whisk. 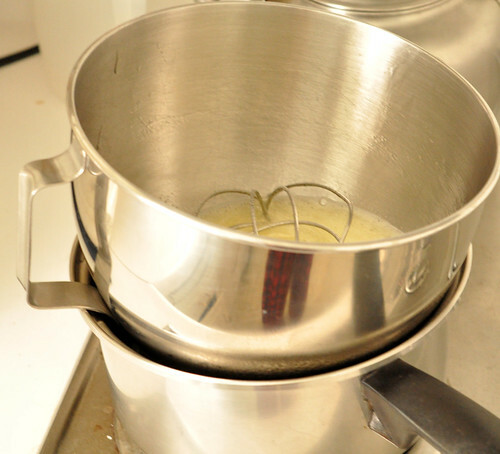 If you're going to make a large batch I boil boil a pot of water and put the bowl directly into the water. You might read elsewhere to make sure the bottom of the bowl to the water. I've done it.. in fact, that's all I do. And it's turned out fine. If you're doing a small batch like the recipe above what you could do is get a stainless steel bowl large enough to fit the standing mixer bowl and microwave about 2-3 cups of water on high for about 2 minutes. After the water is at a boiling point in the microwave pour it into the larger bowl. That way you don't have to wait 10 minutes for the water to boil in the pot. Keep it in the hot water until the sugar granules dissolve. 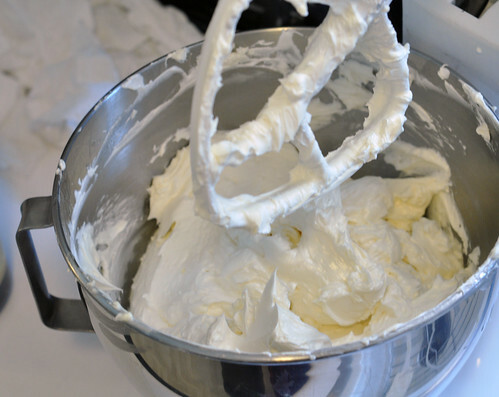 Put the bowl of the mixer back on the mixer with a whip attachment and whip on high until stiff peaks. Switch to a paddle attachment. 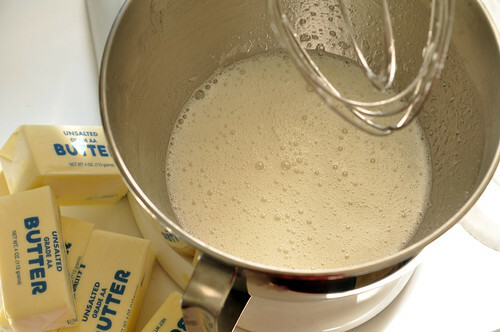 Then slowly add the butter 1 tablespoon at a time. About halfway through switch back to the whisk attachment then continue to add the butter until it comes together. If the buttercream is still very liquidy at this point Let it continue to whip for another minute or so. Sometimes it needs a minute or so for the butter to fully incorporate. If it is still very liquidy slowly add 1 tablespoon of butter at a time until it comes together. FYI the humidity and current weather of where you live may be a factor. 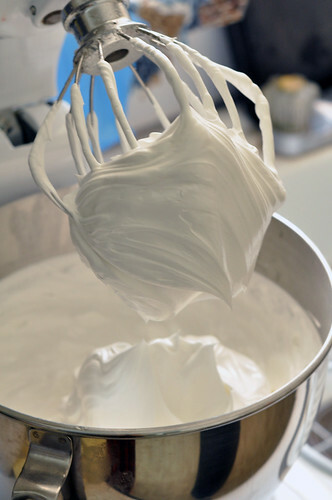 So, if you live in Seattle in the heat of summer, you might have a harder time with this as sugar tends to soak up moisture and your meringue might not ever come to stiff peaks. Vanilla buttercream makes an awesome macron filling. MmmMmm! Hello. will white egg get cooked while it stay under a pot of boil water?